Color: Bright ruby red. Bouquet: Hints of black cherry. 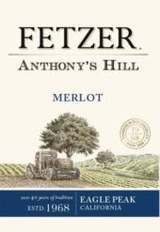 Taste: Soft, fruit-forward, with black-fruit and a bright and fresh finish. Meant to be enjoyed young. Food Pairing Ideal with fleshy fish, beef, lamb, red-sauced pastas and pizza.